In 2016, the Indianapolis Museum of Art (IMA) undertook a major research initiative focusing on their collection of American paintings and sculpture to 1945. The project was directed by Kimberly Orcutt, who was then serving as Mellon Curator at Large at the IMA and who hired me to work in New York City on behalf of the museum. 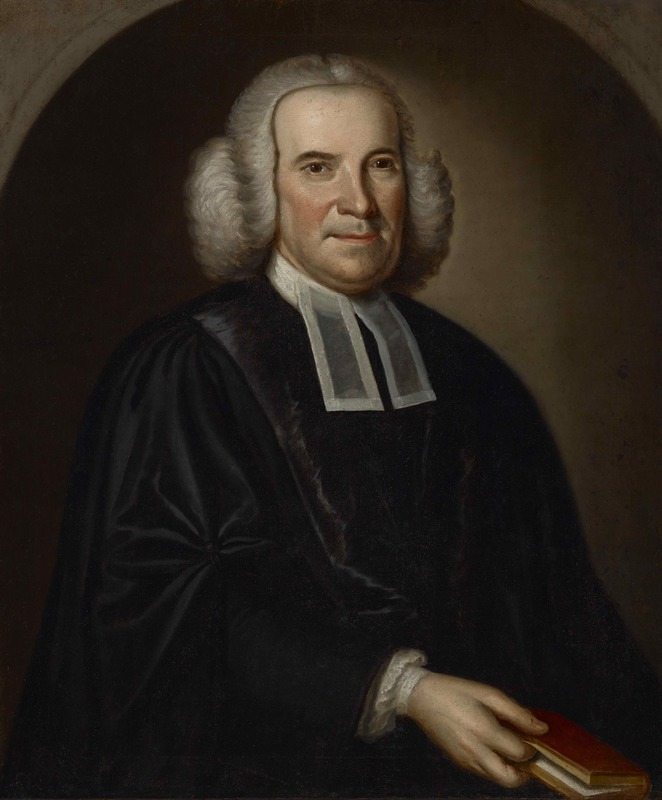 One of my objectives was to investigate a portrait of the eighteenth-century religious leader and academic the Reverend Samuel Finley (1715–1766) attributed to John Hesselius (1728–1778) (fig. 1). Through extensive primary source research, I was able to uncover evidence that strongly supports the attribution to Hesselius and assembled a more complete history of the picture and the family who owned it for almost two centuries before donating it to the IMA in 1962. I have also unraveled the relationship between this portrait and an 1870 copy by the little-known American painter Charles Walker Lind (c. 1842–c. 1880) (fig. 2). The copy is owned by Princeton University, where Finley served as president from 1761 until his death in 1766. Although it originally seemed to be just an unimportant copy, the Princeton painting turned out to be the key to unlocking the history of the original. Fig. 2. Charles Walker Lind after John Hesselius. Portrait of the Reverend Dr. Samuel Finley, 1870. Oil on canvas, 29 15/16 x 25 in. Princeton University, Princeton, N.J. The painter was active in the mid-Atlantic region from 1750 to 1778, particularly in Anne Arundel County in Maryland, but I have found no records of him meeting Finley. Likewise few of Finley’s papers survive, although a small collection—mostly comprising letters from the late 1750s and early 1760s—is preserved at Princeton University. My search of this material also yielded no evidence of a meeting between Finley and Hesselius. Scarcity of primary source material is a problem that scholars of colonial portraits often run up against, making researching and attributing these works inherently difficult. Seeking alternative approaches to the IMA portrait, I decided to explore the history and provenance of the copy at Princeton. Although it was painted by an obscure descendant of Finley whose career also lacks documentation, the donor of the painting was the renowned inventor and painter Samuel F. B. Morse. His extensive personal papers, including letters and diaries, are available online through the Library of Congress and seemed liable to contain information about the portraits. 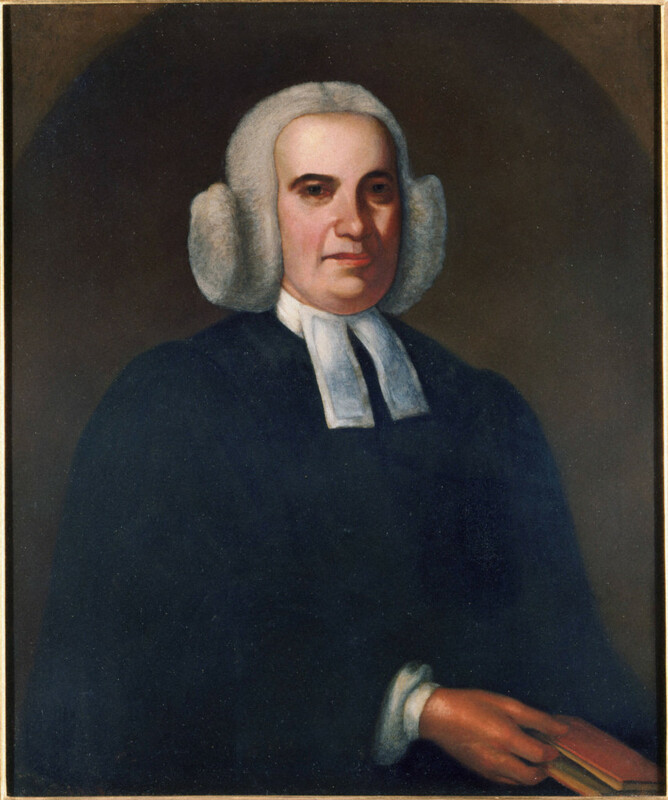 As I had hoped, in the Morse papers I found a number of letters pertaining to both the original portrait of Finley, attributed to Hesselius, and the copy by Lind. The letters indicate that Morse commissioned Lind to make the copy directly from the original with the intention of donating it to Princeton. More importantly, the Morse papers record that in 1869 and1870 the original clearly bore the inscription “J. Hesselius pinx.t 1766.” What follows is the narrative I have reconstructed from the letters. The Portrait arrived safely but I found it in a sad condition of disintegration. The defect in the eyes of the portrait is not from any direct violence to the surface, but is the effect of an original bad preparation of the canvas, which has caused the color to scale off, not only upon the eyes but on parts of the face and dress, in small portions. It was very fortunate that it was not submitted for remedy to any one unacquainted with the maladies of paintings, and more fortunate that it was sent here in time to arrest the progress of the disease, which in a very short time would have left nothing but the canvas. I have in my vicinity a most skillful physician of pictures, and you & your father will be satisfied to learn that the painting bas been substantially fixed upon a new canvas, so that its further deterioration is effectually arrested. This now only necessary carefully to restore the parts that have scaled off and this I shall not boast to any one, for although I have not painted a picture for some 30 years, I intend to see that this portrait is perfectly restored. . . .
By March 1870, Morse was anxious to have both portraits back in New York.15 They arrived the following month on a ship from Puerto Rico, as shown by a letter Morse wrote to the Collector of the Port of New York requesting him to waive any applicable import taxes.16 And so by May 1870 Morse was ready to return the original to his cousin William Peronneau Finley in South Carolina. In an accompanying letter to he wrote, “I am thinking there may possibly be some wonder expressed in your homestead in Aiken respecting the fate of the Portrait of our venerated ancestor Dr. Samuel Finley . . . . It has had adventures & travels, since it left the Sunny South.”17 Morse went on to reiterate the condition issues and treatment that he had outlined in his April 16, 1869 letter to his cousin. This letter contains the most in depth discussion of the original portrait and the most compelling evidence to support its attribution to Hesselius. “The picture is of a higher character as a picture than I at first supposed,” Finley wrote. Fig. 3. John Hesselius. 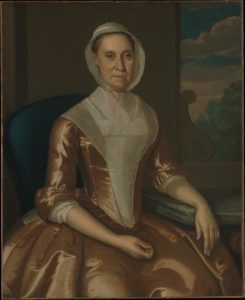 Mrs. Richard Galloway, 1764. Oil on canvas, 36 3/4 x 30 in. Metropolitan Museum of Art, New York. The inscription that Morse described is consistent with those that appear on other works by Hesselius, including Mrs. Richard Galloway (1764; The Metropolitan Museum of Art).21 (figs. 3, 4) The artist usually inscribed his canvases on the back; Morse does not state whether the inscription he recorded was on the front or the back of the canvas. Members of the IMA staff have thus far been unable to find any inscription on the canvas. This is not altogether surprising: we know from Morse’s letter to his cousin that the painting underwent extensive conservation and relining in 1869. The IMA curatorial files document that the painting was in extremely poor condition when it entered their collection, and that it underwent additional conservation in 1965. This campaign included removing and replacing the 1869 lining, which had become brittle and separated from the canvas; and addressing extensive paint loss on the surface, including removing the 1869 restorer’s oil paint and then infilling the losses with gesso and acrylic paint.22 Considering the condition issues the painting suffered and the extent of the two conservation efforts, it is possible that the inscription that Morse recorded was inadvertently covered or removed. I have suggested that the IMA complete a more thorough examination. Fig. 4. Inscription on reverse of painting in Fig. 3. For me one of the most compelling aspects of art historical research is the problem solving involved, in particular strategizing different and unexpected ways to find information. This is especially useful in researching colonial portraits, where source material is often scarce. My decision to delve into the Princeton portrait of Finley by Lind, instead of simply disregarding it as an uninspired copy, led to a valuable trove of information about the “adventures & travels” of the IMA painting. Although I do not know whether the museum will change their designation to “by” Hesselius rather than “attributed to,” particularly if conservators are unable to locate the inscription Morse detailed, I do believe that this documentation reinforces the attribution and adds valuable details to the history of the painting. About the Author(s): Megan Holloway Fort is an independent art historian.